Sudden life-threatening emergencies can strike at any moment. Be prepared to respond to medical emergencies by earning certification from one of the nation's most respected organizations. We will teach you how provide the first few minutes of critical life-saving care during a medical emergency to get the patient stabilized. You can learn to save a life. We provide American Heart Association ACLS, PALS, and BLS training and certification classes for healthcare professionals. Anyone can learn basic First Aid, how to perform CPR, and how to use an AED in our American Heart Association Heartsaver program. 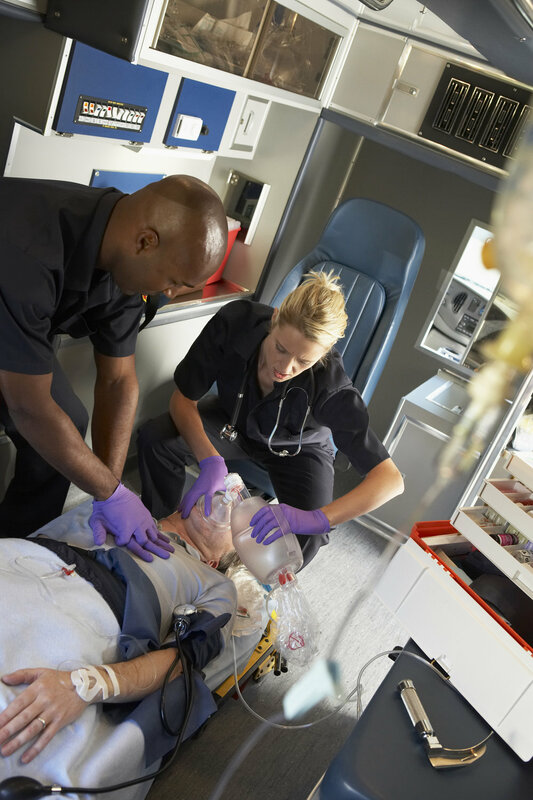 Get the training to become a licensed Emergency Medical Technician (EMT). No experience is required. Be a hero in your community! When disaster strikes, know how to treat and stabilize a patient in austere conditions when a hospital is not an option. At Twin Education, all of our instructors practice emergency medicine as paramedics, nurses, or physicians. We are emergency medical care experts, and have real-life clinical experiences that bring classes to life. Using blended teaching techniques including patient care scenarios, video based learning, hands-on labs, and classroom instruction, Twin instructors make classes engaging for every student. At Twin Education we teach BLS, ACLS, and PALS in Montrose, near Flint, Michigan. Our location conveniently serves Genesee, Shiwasee, and Saginaw county providers who need to earn BLS, ACLS, or PALS certificaitons. We also offer full EMT and Advanced EMT initial education programs. Twin Township Ambulance has been providing American Heart Association training to the community for over 30 years. Today, we continue that tradition by offering ACLS, PALS, and BLS courses at our Education Center in Montrose, MI - just a short drive from Flint, and Saginaw! Our EMS education center offers ALS and BLS Continuing Education credits from CAPCE and the State of Michigan. In addition to offering the required ALS Pediatric Medication Administration CE, we also offer full license renewal packages both online and in-person. Become an Emergency Medication Technician (EMT). In our EMT education program, you will build the knowledge and skills to become a Michigan State Licensed EMT. Students learn in dynamic classroom scenarios and clinical rotations with ambulance services and at hospital Emergency Rooms. Whether spending time in the backcountry is your passion or your profession, you should never have to ask, "What do I do now?" In our Wilderness Medicine programs, you'll learn how to prepare for the unexpected and know how to respond to emergencies where resources are limited.